I'm an American ex-pat living in New Zealand. Is this awesome or what? I get the feeling that the billionaires will get to Mars before the governments do. Or maybe NASA is spending too much time on…. Knowing nothing more than what is in this video, I am convinced even more that government is more of an impediment to progress than I ever imagined. It’s exciting. Someone should write a book about this stuff! Patrick Chiles:It’s exciting. Someone should write a book about this stuff! It’s a great book. Here’s my review of Farside. This is a sequel to Perigee, which is an excellent story of the break out of commercial space developing point-to-point suborbital transport. NASA should be in the space launch business the same way that the FAA is in the airline business. Kevin Creighton:NASA should be in the space launch business the same way that the FAA is in the airline business. NASA should be a customer of rides to orbit and beyond, precisely as the Post Office was a customer for Air Mail carriage in the 1920s. So, of course, they’re building a giant government-funded rocket which will fly every year or two at a cost of billions of dollars per shot and expend RS-25 engines, which were designed to be reusable, dropping them into the ocean on every launch. But then, NASA is a jobs program. Private enterprise first, just as Robert Heinlein predicted! John Walker: NASA should be a customer of rides to orbit and beyond, precisely as the Post Office was a customer for Air Mail carriage in the 1920s. I’ve used that exact example in the past, and it’s very valid. The government kick-started aviation in the 20’s, and then got out of the way. 50+ years after JFK challenged us to go to the moon, the government still is in the lead when it comes to getting us into space, and that needs to change. Bozobit: Is this awesome or what? Qutie the achievement, looks like they bought the parts at the Lowe’s plumbing isle. Personally I’m skeptical that business will get there before governments. I just don’t see the financial benefits, at least it’s not evident, and the cost will be prohibitive. Why would shareholders continue to sink money into it without returns? But I could be wrong. Begin with goals. No business would waste billions to focus on footprints, life signs and rock shapes on Mars. It’s what’s in those rocks, how do you get it back to earth, and sustainability… of ongoing operations, for the next load. And, opportunities for minorities… I kid. raycon and lindacon:Begin with goals. No business would waste billions to focus on footprints, life signs and rock shapes on Mars. There are no minerals on Mars that are so valuable that they could offset the cost of going there to get them and bringing them back down to Earth’s surface. Maybe this, closer to home? Awesome video. The scifi tales of my youth coming to life at last. Yes, private enterprise is so much more promising. But this was not exactly the same as achieving even a low earth orbit, which I believe requires orders of magnitude more fuel. I don’t know enough to know how realistic it is to scale this particular method to achieve orbit and interplanetary space flight, but I know it is much harder and more expensive. There are no minerals on Mars <That we are aware of> that are so valuable that they could offset the cost of going there to get them and bringing them back down to Earth’s surface. Every discovery adds to the pool of reasons for farsighted entrepreneurs, especially the Jeff Bezos and Elon Musks, with track records and personal wealth to chip in, to gather investors, and payoffs can mount. Or we can let politicians like Obama waste billions on emotionally satisfying fantasies. Brandon Phelps: But this was not exactly the same as achieving even a low earth orbit, which I believe requires orders of magnitude more fuel. I don’t know enough to know how realistic it is to scale this particular method to achieve orbit and interplanetary space flight, but I know it is much harder and more expensive. where m is the mass and v the velocity. Since energy goes as the square of the velocity, getting to orbit is thus from the standpoint of energy is not eight times as difficult as reaching an altitude of 100 km, but sixty-four times as hard. Xkcd discussed this in a What If? article. Randy Weivoda: There are no minerals on Mars that are so valuable that they could offset the cost of going there to get them and bringing them back down to Earth’s surface. No, but there are abundant resources on Mars and in the rest of the solar system, dwarfing those of Earth, for the settlers which will expand the human presence there. For example, at the distance of Earth’s orbit from the Sun, every square metre receives 1.3 kilowatts of energy from the Sun without interruption and will continue to do so for billions of years. raycon and lindacon: It’s what’s in those rocks, how do you get it back to earth, and sustainability… of ongoing operations, for the next load. As for going there, think of Earth as a town in a valley, and Earth’s gravity well as a really big hill you have to climb out of if you want to somewhere else, a hill that ends with a gentle sloping plain. Once you crest that hill, you can essentially coast to wherever you want to go, and the return trip is much easier as well. To quote Robert A. Heinlein, once you’re out of Earth orbit, you’re halfway to anywhere. If (and that’s a big if) He3 fusion proves to be the way to go, and if (another big if) there’s tons of the stuff on the Moon because of the solar wind, expect a lot more of this in the future. Also, the amount of rare minerals in the asteroid belt is simply staggering: One decent-sized metallic asteroid might well have more platinum in it than all the ore that’s been mined on earth since the beginning of time. There’s our business model. All we need to do now is go out and get it. I could picture (probably several decades down the road) where asteroids would be mined. But would it be cost-effective to bring the raw ore back down to Earth? Or would we have refineries near the asteroid belt, and use those minerals for construction of space habitats, etc.? If we’re going to build stuff to be used in space, I wonder if it’s more plausible to take it from raw materials to finished products in space than to drop it to Earth, refine and forge it, then expend a bunch of energy to lift it back out again. Randy Weivoda: I could picture (probably several decades down the road) where asteroids would be mined. But would it be cost-effective to bring the raw ore back down to Earth? Or would we have refineries near the asteroid belt, and use those minerals for construction of space habitats, etc.? No, you don’t bring it back to Earth. The Earth is in a deep gravity well, and anything you drop into it has a huge cost getting back out. Solar system resources will be used in off-Earth habitats, either in low gravity environments or dropped one-way into gravity wells such as that of Mars. Materials processing requires abundant energy and (often) a hard vacuum, and these are available for free in space. John Walker: Materials processing requires abundant energy and (often) a hard vacuum, and these are available for free in space. This reminds of a science fiction book I read many years ago, “The Voices of Heaven” by Frederik Pohl. A number of books have had spaceships powered by anti-matter, but they typically don’t say how the anti-matter is created. It’s going to take more energy to produce the anti-matter than you will get back out of it because no process is 100% efficient. So in this book a broad ribbon of photo-voltaic cells ran all the way around the moon and the electricity was used to power an anti-matter processing facility on the far side. Without an atmosphere in the way to diffuse the solar energy, they got a lot of juice. 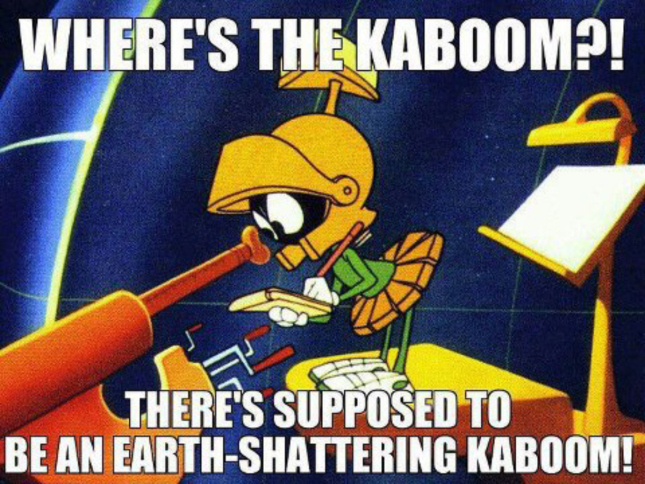 And they reasoned that if there were a cataclysmic containment failure and it went boom, it wouldn’t harm anything on Earth. Only long-range ships would have need for the anti-matter, so why not make it off-Earth?